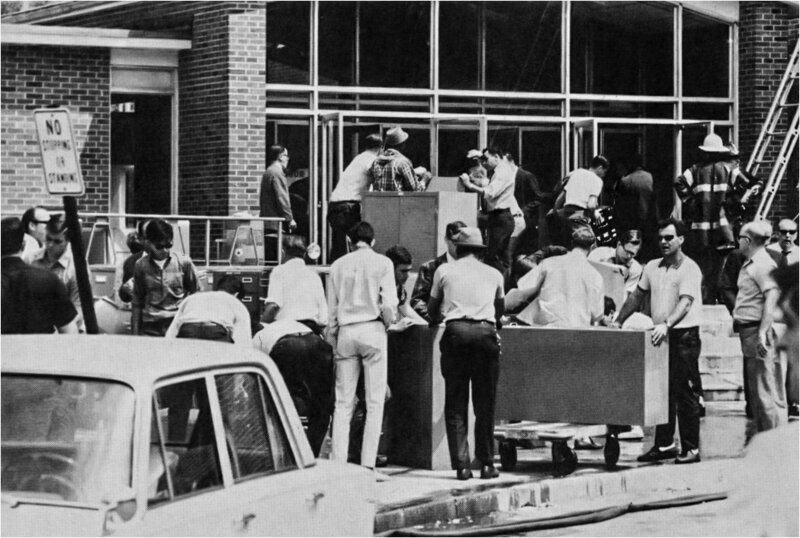 On May 17, 1968, an arson fire consumed New Rochelle High School in New Rochelle, New York. Local fire departments successfully extinguished the flames by nightfall, but the majestic structure had been virtually destroyed. Three thousand students were left in need of instructional space for the final weeks of the school year and the fate of the charred ruins was to be determined, while local authorities sought the arsonist. ​​This website chronicles the related events one-half century later, with a narrative that is supplemented by historic photographs dating back to the school's construction, the destructive blaze and its aftermath. Firefighters from seven Westchester communities combined forces to courageously battle the blaze for over six hours and to then maintain a vigil over the smoldering embers. Their efforts insured the preservation of several new wings to the school although the original structure could not be saved. The service of these professionals will always be recalled with admiration and gratitude.